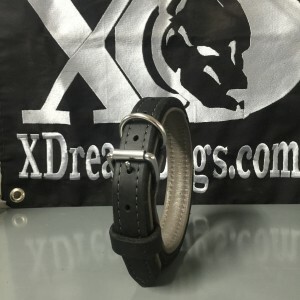 XDream Dogs 1″ Latigo Leather, Deerskin lined Collars are made to be adjusted 4″ longer than the first hole; if the first hole you choose is at 16″, it has 4 more holes an inch apart so that it can fit neck sizes 16″-20″ (holes at 16″, 17″, 18″, 19″, and 20″.). Please make a selection that would best fit your dog. Hardware: Solid Brass or Stainless Steel option available. 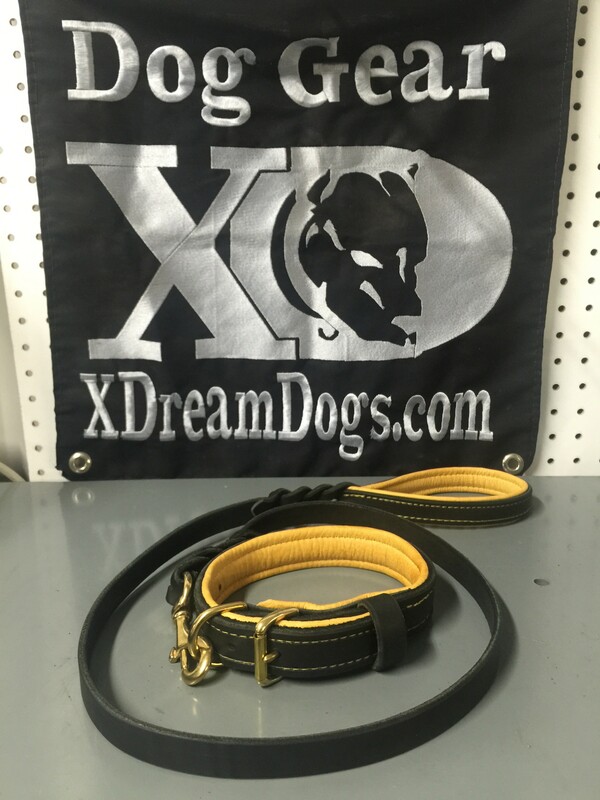 Please Choose from the following colors of Latigo Leather, Black, Brown, Burgundy, and Tan. 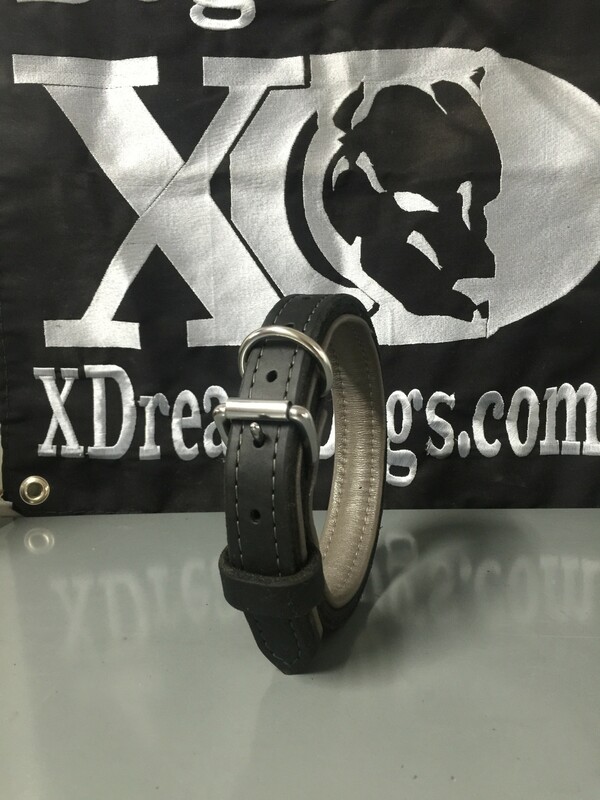 You can choose your stitching color too. Click here to view stitching colors available.